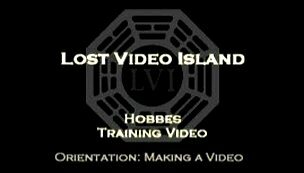 LOST Video Island - "LVI: Orientation"
With help from our good friend Billy, Hobbes outlines the basics of making a video great. Official Training Video. Your audio is off on YT hon. WMG silenced it. Not sure if my other comment went through. Just wanted you to know. So...I did a search for Lost videos, since I figured it was the easiest thing for me to find clips for and I found LVI. I'm SO glad that this was linked on the front page. I closed WMM and watched this before I even THOUGHT of making my first vid. So what if my first one was total crap...at least after watching Billy learn how to make a good vid, I learned that long clips are baaaaaaaaaad and that lyrical interpretation is key. I'd never have even bothered with beat use, either, because I didn't know. In short ( that's a good one, huh? ), this vid was REALLY really helpful, coming directly from someone who watched it as a newbie and used it to try out making the ever-dreadful FIRST vid. I'd have been totally lost without this tut. Thanks for making it, sharing it, and being so friggen awesome. You rock the world, Warren. The WHOLE world! I just saw this vid, at MyFandoms.com, and followed the Youtube link to fave it ^-^ I then thought to check here cuz I wanted to read the other LVIers comments, hehe. zShare? Does the Vidilife one work for you? Or is it a matter or downloading? Any chance of a new zshare link? The other one isn't working for me, I keep getting an error message! What an awesome orientation vid, Warren! Great work! You just gotta love Billy!